*Free admission. To reserve a seat, please click here. Member of british electronic arts duo Gibson/Martelli who recently won the Lumen Prize, Bruno Martelli will engage in a conversation on mediated reality with Fito Segrera, head of Research/Creation at CAC. 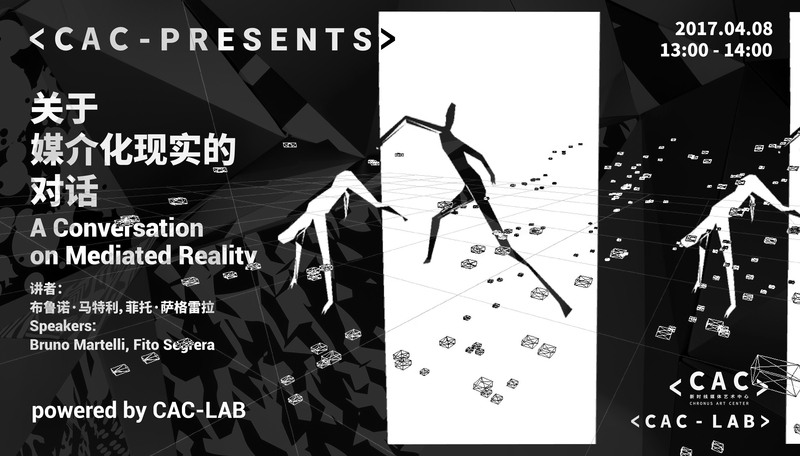 MEDIATED REALITY: REVISED, the subjet of CAC's current Research and Creation Fellowship, opens a conceptual and technical workspace for artists pushing the boundaries which frame conventional VR/AR and motion capture technologies. Since the emergence of ready-to-use home VR headsets, mobile AR and modern gaming these technologies have suffered from an aesthetic drawback. 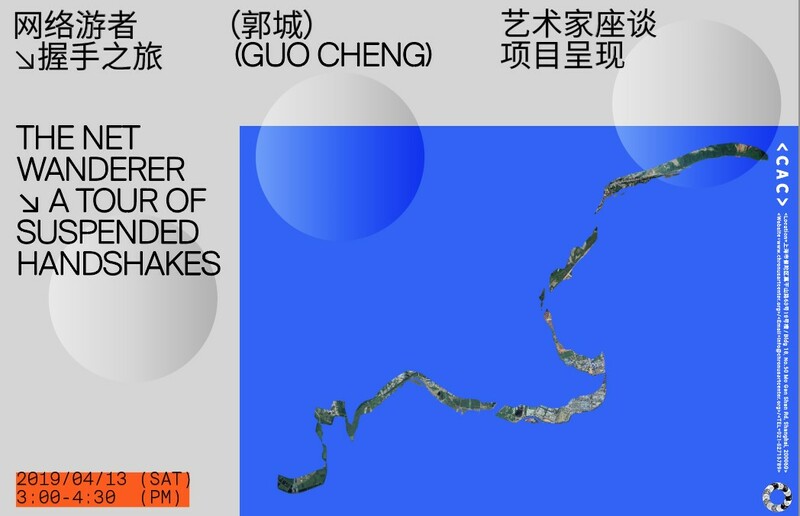 This talk will approach the subjet of immersion and virtuality from a non-technical and more conceptual point of view. Bruno Martelli is a member of british electronic arts duo Gibson / Martelli, who make live simulations using performance capture, computergenerated models and an array of technologies including Virtual Reality. Artworks of infinite duration are built within game engines where surroundsound heightens the sense of immersion. 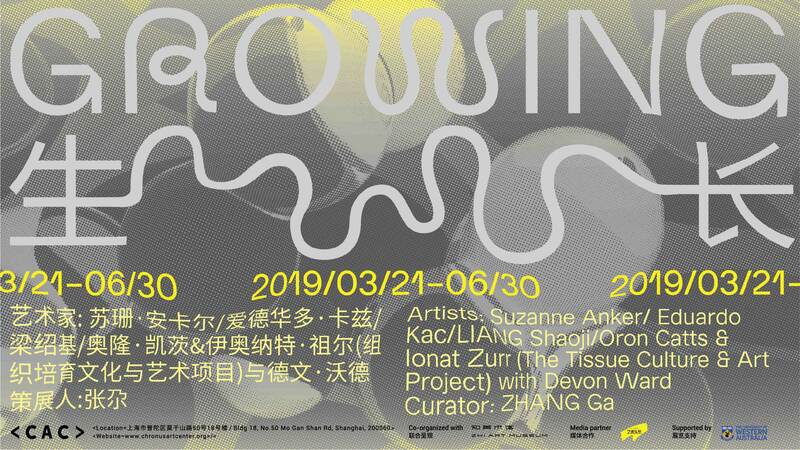 They playfully address the position ofthe self in relation to technology, examining ideas of player, performer andvisitor,intertwining familiar tropes of video games and art traditions offigure & landscape. Experimentation with software epitomises the work ofthe artists, adapting and ‘modding’, to create tightly controlled worlds forpeople to explore and interact with. They strip away, reconstruct, re-purpose,re-mix and customise the tools of mass entertainment, integral to theircontemporary digital craft. Living and working in London, Ruth Gibson and Bruno Martellicollaborated as igloo from 1995–2010, their first work together was nominatedfor a British Academy of Film & Television Arts (BAFTA) Award. Now known as Gibson/Martelli they recently won the Lumen Prize. Bruno is also a visiting lecturer at AA School of Architecture. 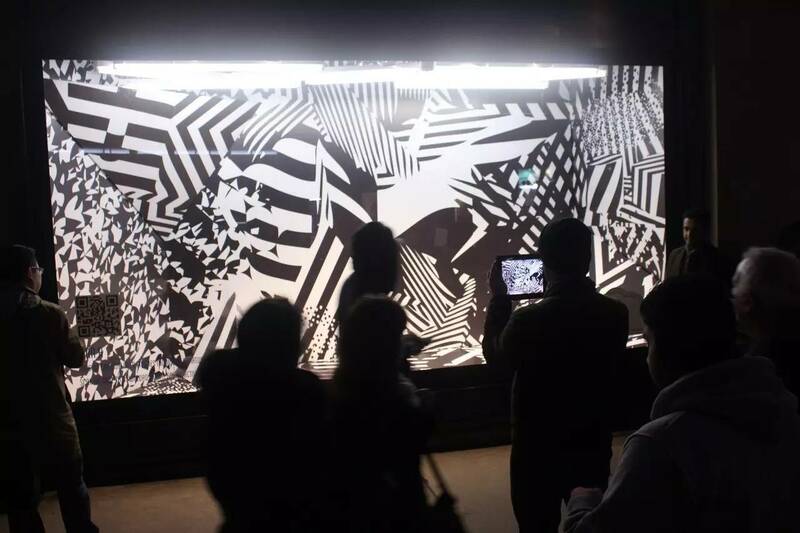 Fito Segrera is an artist, technologist and Head of Research/Creation at Chronus Art Center, Shanghai. He studied fine arts and audiovisual / Multimedia production at Jorge Tadeo Lozano University of Bogotá, Colombia and completed a MFA in Design and Technology with honors at Parsons, The New School, New York, while being a Fulbright Scholar from 2013 until 2015. His current research and creative practice appropriates elements from digital philosophy, artificial intelligence, monism and modern physics while using physical computing, software programming and information/telecommunication technologies to inquiry in fundamental ontological questions regarding the nature of reality and the physicality of the universe. 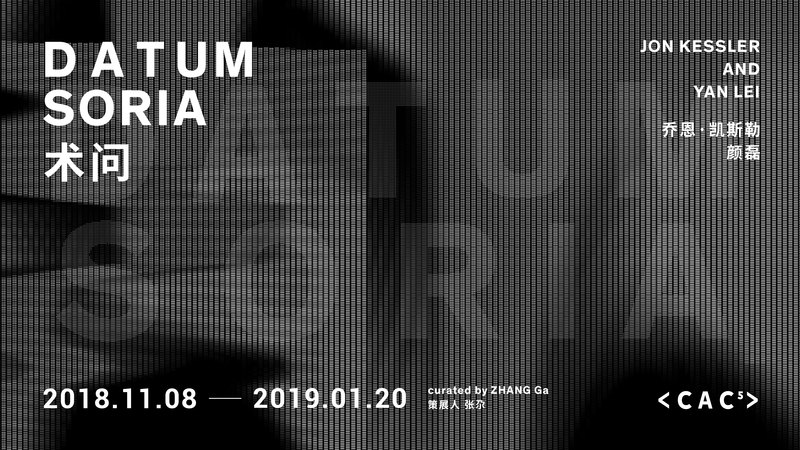 His main exhibitions are: VARIATIONS Paris 2016, PLUNC Lisbon 2016, CAC Shanghai 2016/2015, West Bund Art Center Shanghai 2015, SIGGRAPH 2014 Canada, Collision 20 & 21 at Boston Ciberarts Gallery 2014, Huston International Performance Biennale 2014, SXSW Austin TX 2014, EYEBEAM New York 2013, Agora Collective Center Berlin 2013, Dorkbot NYC 2013, Harvestworks New York 2013, Salon Regional de Artistas del Caribe, Web 2.0 Espacios alternativos 2012, Ripping mix, burn, rip 2010, Bogotá Biennale 2009. 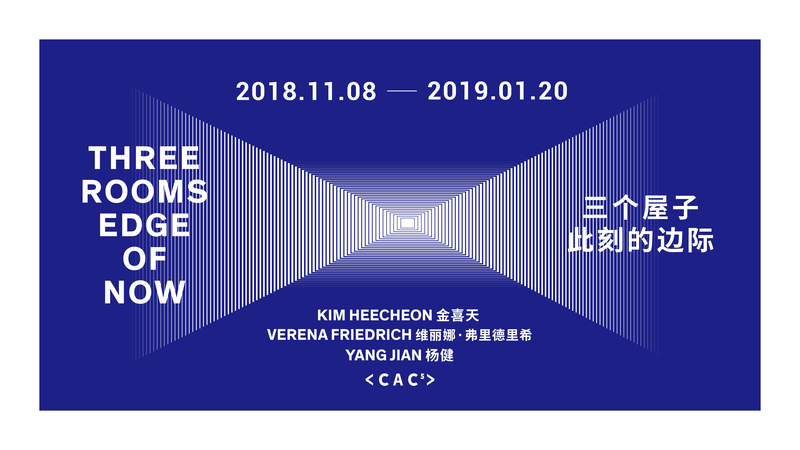 *This talk is part of the Powered by CAC_LAB Series by which CAC_LAB enables dialogues between artists, academics and technologists with unique visions on the field of new media art and currently active in the world of Research and Creation.